These are basic videos for consumers who want to install and configure new or existing iiotsys™ IoT Switches. 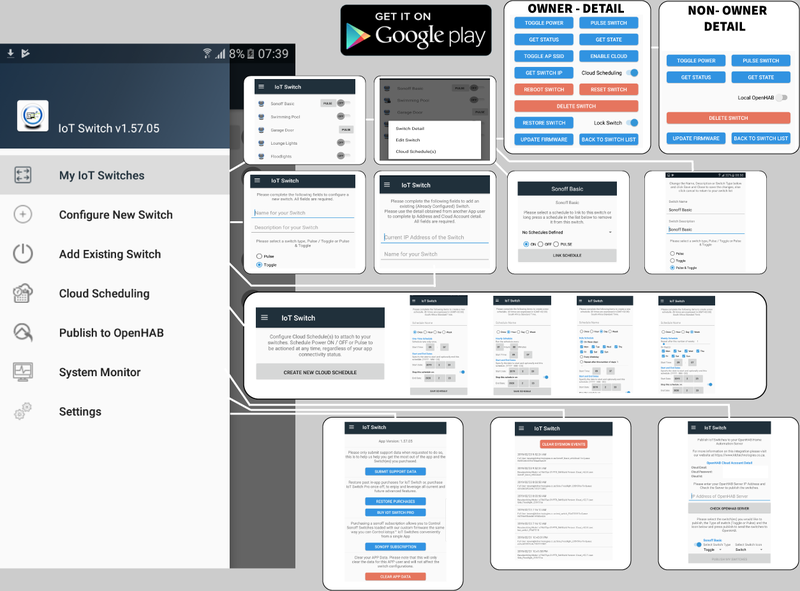 The Mobile App supports configuring new iiotsys™ IoT Switches, Adding Existing iiotsys™ IoT Switches, Managing iiotsys™ IoT Switches, Cloud scheduling iiotsys™ IoT Switches, publishing iiotsys™ IoT Switches to openHAB server, system monitoring, support and managing in-app purchases. Publishing and Cloud scheduling features are once-off in-app purchases. or add voice control for Google Home and / or Amazon Echo. The server virtual appliance and image software is available for download from this website, please visit our openHAB and Voice Integration video sections on this website for more information.